Linkline is a very special publication for Salts Healthcare. Distributed to nearly 30,000 patients it contains information about Salts products and services but the most important part of this 20 page magazine is the stories about people. 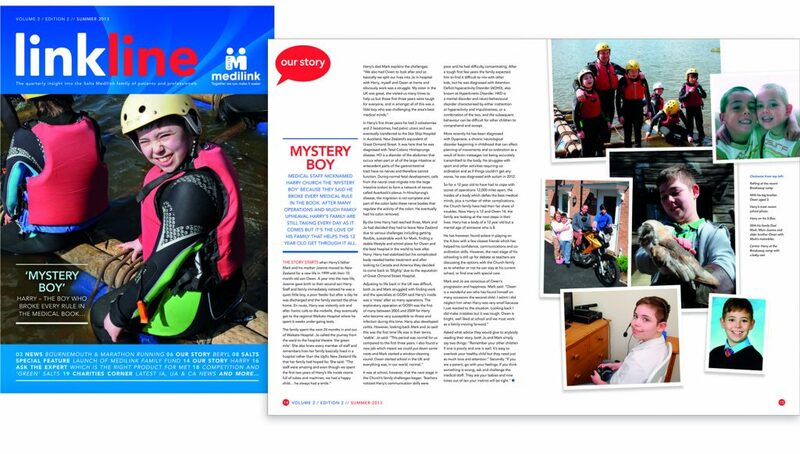 Our Story is a double page spread of patients telling their story that will inspire readers. Townhouse write, photograph and design each Linkline publication of which there are at least four every year. We travel the country and sometime outside the UK and meet some inspirational people and we always look forward to working on the next one.